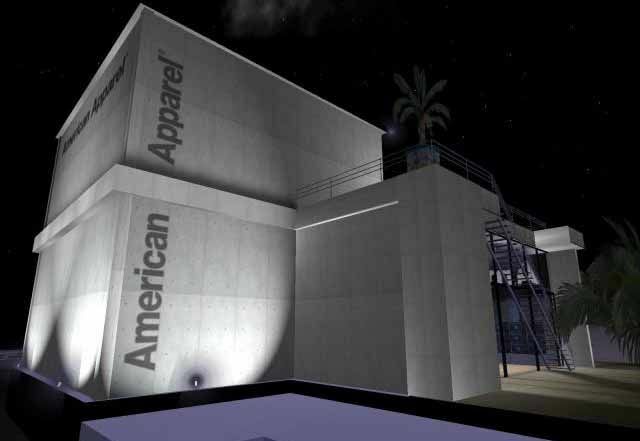 Aimee Weber built the American Apparel store in Second Life, a union between real and virtual worlds that sent shock waves throughout the industry. This widely celebrated build has been featured in many news sources including Forbes, CNET News, and The Boston Globe's Boston.com. 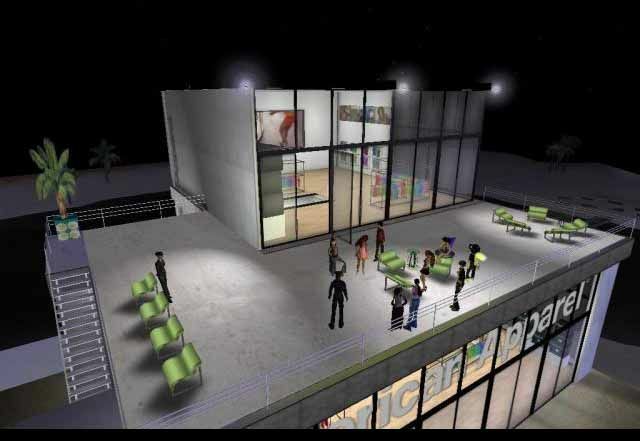 The build itself was revolutionary in that the beautiful texture work was sensitive to the position of the virtual sun. By day, the textures reflected the bright daylight while, by night, they displayed spotlights and the glow of interior lighting. 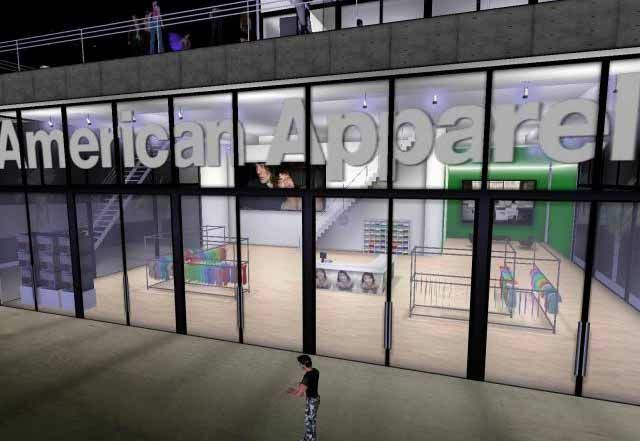 Aimee was also responsible for stocking the virtual store with American Apparel fashions, which visitors could purchase in-world, or with a single click visit the real-world item on the American Apparel website. "First step? 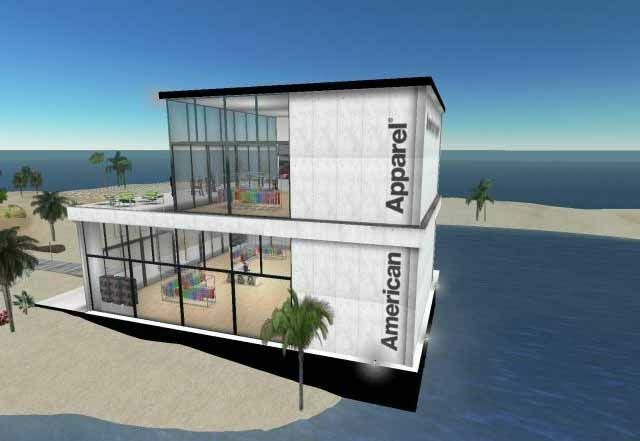 Hire popular Second Life architect Aimee Weber to design the store."